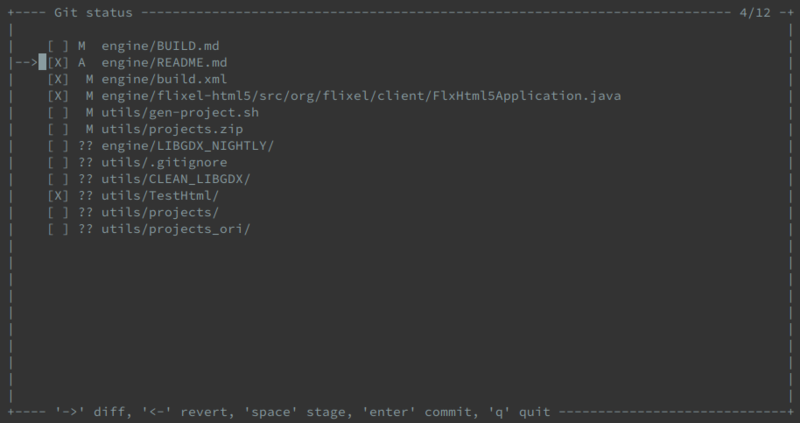 stagediff is a CLI app that makes basic and most used git features as easy and fast as possible. The idea behind it, is to be able to review the changes before every commit in the most convenient way possible. 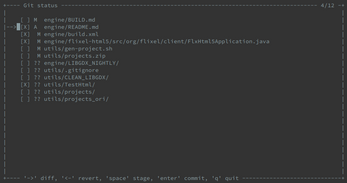 Write your commit message and commit. It relies on external applications, "git d" configured to a diff tool and your configured text editor for "git commit" command. I'm using this tool for the past 2 years on Debian. It works on other linux distributions, and it should work on Windows and Mac but I never tested on those platforms.